In addition to the men mentioned on the war memorials at St Mary’s Church and Thornbury Grammar School, we have accumulated information about other local men and women who served in the Armed Forces during the Second World War. We have listed these below in alphabetical order. Some of the people are already included on Thornbury Roots and in those cases, you can click on the underlined hyperlink to read more about them, their exploits and their families. The ones who are not covered on the website probably lived outside of the town. William Appleby. Bill was the son of Donovan Appleby and his wife Doris (nee Claridge). He was born 18th April 1920. “Bill” Appleby, as he was generally known, was obviously well liked in Thornbury. He took an active part in the social life, especially sport. We have a photograph of him with Thornbury Town Football team which we believe was taken after the war. We have been told by one local that Bill was very quiet and gentlemanly but changed completely when playing football! Arthur John Betty (known as John Betty). 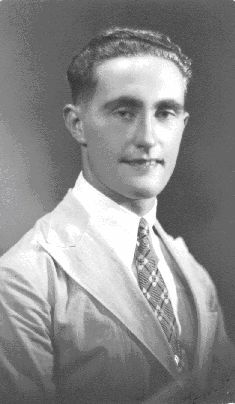 John’s birth was registered in the Thornbury District as Arthur John Betty in 1922, although we understand that the family lived at Rudgeway. 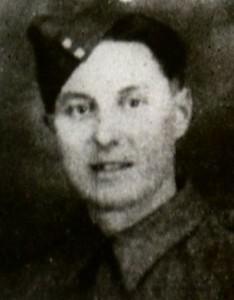 John was a private in the first regiment of Commandos during World War II. This regiment was created in 1940 from British Army servicemen who had volunteered for Special Services. We know little of his time in the Commandos, although as a former pupil of Thornbury Grammar School John gave a talk there in October 1945 about his time as a Commando and described the ten months he spent in Italy as an escaped prisoner of war. When he left the army he joined the Gloucestershire Constabulary and we have been told that he was stationed at Chipping Camden for some or all of his time in the police force. He rejoined the army and by the time he married in 1948 he was a Second Lieutenant and went on to become a major. After his marriage he no longer lived in the Thornbury area and was stationed in Germany for some time. We note that the 1950 Electoral Roll gives his address as The Exchange Hotel in the High Street in Thornbury. We cannot explain this and it might have been that he was visiting Thornbury and registered at that time for voting purposes. 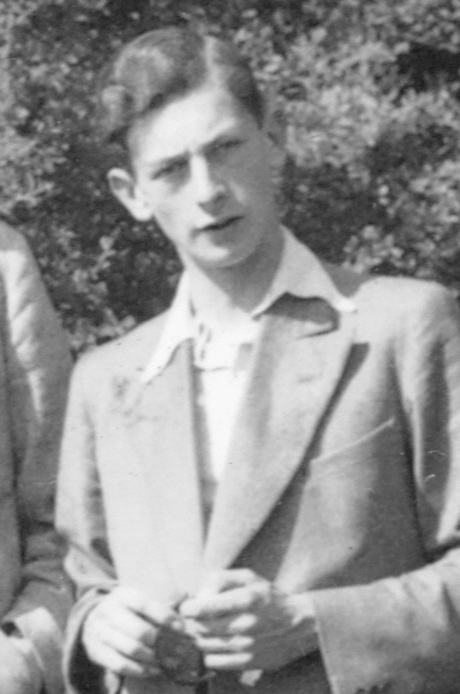 We have also been told that John was a keen motorcyclist and rode in the Isle of Man TT, probably in the late 1940s. Arthur John Betty died August 2011 aged 89. His death was announced in the publications of the Commando Veterans Association with which he maintained contact throughout his life. V (“Benny”) Biddle. An article of April 1945 said that Private Benny Biddle of Alveston was serving in India and that he was the husband of Mrs V Biddle. The accompanying photograph is shown on the left. North African Expedition in 1942. He became ill and was invalided back to England. He was employed in the Civilian Anti-Gas School at Falfield as chauffeur . The funeral took place at St Mary’s and he was buried in Thornbury Cemetery on 2nd March 1944. The burial register says he died at Bristol Royal Infirmary. Trooper Clifford J Davis. The war memorial in St Mary’s Church refers to Clifford Davis. 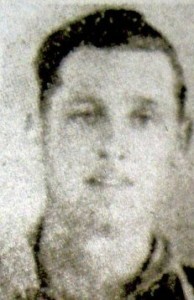 It was reported in the Gazette of 23rd August 1942 that Trooper C J Davis of the Royal Tank Regiment was killed in action in the Middle East. The article tells us that he was the son of Mr and Mrs J Davis of Cannon House Crossways in Thornbury. This was James M. Davis and his wife Mabel (nee Legge) who were married in Thornbury in 1918. 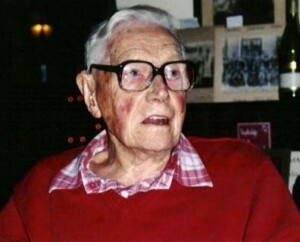 Clifford was born in Thornbury in 1919. He was killed the day after his 23rd birthday. 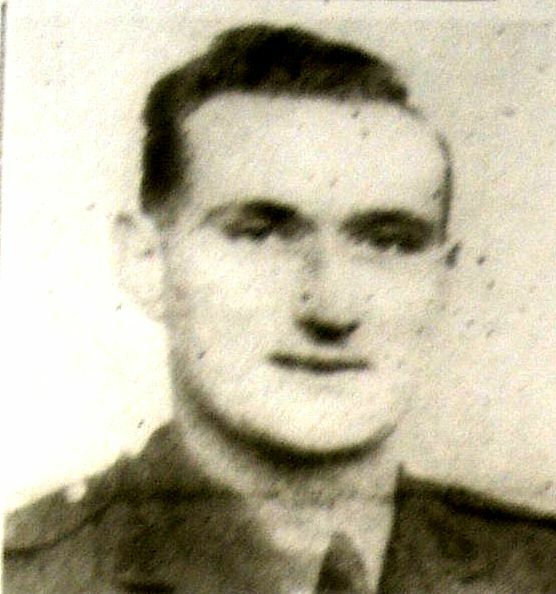 He had joined the territorials in 1939 and was sent to the Middle East in May 1942. The newspaper article said “although of a quiet disposition he was always happy and cheerful and will be mourned by a host of friends in the Thornbury district as well as by his family. He has a younger brother still stationed in England who is also serving with the Royal Tank Regiment.” The photograph on the left accompanied the article. Alan Nelson Garrett. A newspaper article of 10th June 1943 mentioned that Alan Garrett had revisited his old school, having just finished a month on the square in what was to him one of the strictest camps in England with real sergeant majors. Alan was born in Thornbury in 1922 and grew up on his family’s farm. We have found on the internet that when Alan left the army he returned to Thornbury and became an agent for several British Food companies. He built his own company supplying raw materials to smaller businesses. The company was called Garrett Ingredients but it changed hands in 1990 and developed into other areas to become part of the Real Good Food Company as Renshawnapier Thornbury. In 2010 the company announced that it was rebranding as Garrett Ingredients. Alan married his wife Joy in 1948. The 1950 Electoral Register shows that he and his wife lived in the High Street in Thornbury. At this point we do not know where they lived in the High Street. Alan died on 29th December 1998 at his home in Florence Park Almondsbury. His death was registered in Bristol. L C P Messenger. Lance Corporal Percy Messenger was the youngest son of Charles and Mary Ann Messenger. Percy’s father, Charles Messenger died in 1926. Percy’s mother Mary Ann then married Arthur Skuse. Mary Ann Skuse of Grovesend died in 1933. 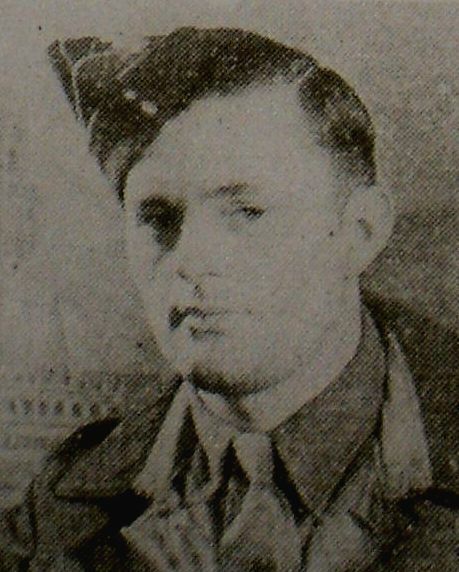 The Gazette article of 29th April 1944 about him says that he worked in Tytherington Quarry before joining the Gloucestershire Regiment in 1939. By 1944 he had been serving in India for two years. On 25th April 1949 he was a quarryman from Grovesend when he married Millicent who was working as a shop assistant at the time of their marriage. The small photo on the right copied from the Gazette shows Percy in 1944. When the brothers appeared in the Gazette in June 1944 Mrs Skuse was living in Easton Hill. The two brothers had met in Italy where Gilbert Pritchard was serving with the military police and Leslie was on his way to the Middle East where he was serving in the Royal Artillery. The photograph on the right above was published with the article. Percy Reynolds (shown in the photo on the right). Sapper Percy Reynolds was the son of Mr and Mrs J P Reynolds of Ivy Cottage in Sibland near Thornbury. An article in the Gazette of 21st July 1945 said that his parents had just been told that he had died two years earlier on August 8th 1943 of acute peritonitis whilst a prisoner of war in Thailand. He had joined the armed forces when he was only 16 years old. He had been sent to Singapore and captured by the Japanese in February 1942. His parents waited many months before they had heard that he was not dead but a prisoner in Thailand and then they had heard no more until 1945, only to be told he had died. We understand that Percy was a prisoner working on the infamous Burma – Thailand railway. 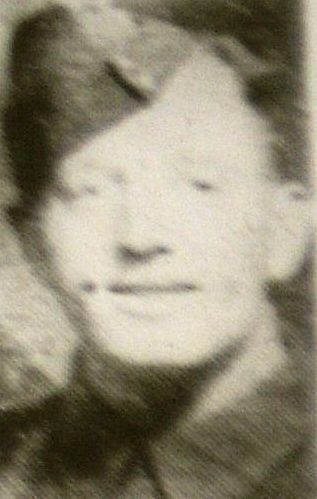 Sapper Reynolds was just 24 when he died. His photograph is shown here on the right. John Sagar. John was a geography and PT teacher at Thornbury Grammar School between 1935 and 1938 at which time he left to go to Wintringham Grammar School in Grimsby. He was a good and popular teacher in the classroom who played an extensive part in school life. The School Magazine mentions his activities as spelling master, dance teacher, soccer coach, P.T. squad instructor, Dance Band Director, Scientific Society leader, and organiser of two memorable School Easter trips first to Belgium and then to Switzerland. The Thornburian in 1937 mentions that he had just obtained his external M.A. from Bristol University. We understand that he was called up into the Army at the beginning of World War II and was sent to India surveying. In 2013 John Sagar aged 94 was still living in Bath. On the left we have a fairly recent photograph of John taken at a school reunion. Donald Smith. The photograph on the right appeared in the Gazette of 21st April 1945 which said that he was the son of Mr and Mrs C Smith of Hackett, late of Chapel Farm, Morton. According to the news item he was serving with the R.N.F. and had been in Italy for the past 12 months. The article was in honour of Donald’s birthday which was that day. We note that the Electoral Rolls for 1946 show Charles and Emily Smith lived at the Hackett and feel that it is likely these were Donald’s parents. Emily Savage married Charles Smith in 1923. Their son Donald was born in 1924. C and J Tandy. An article in the Gazette dated January 1945 had the photographs of Privates C and J Tandy, both of whom were serving with the British Expeditionary Force when they had to evacuate through Dunkirk. They were described as the sons of Mr and Mrs L Tandy. “Private J Tandy” was probably Joseph Tandy the son of Lewis Tandy and he lived later at 14 Chapel Street. Please note that Lewis Tandy had two sons called Joseph by two marriages and that one of these died in the First World War. “Private C Tandy” was probably Charles Tandy who lived at Grovesend after the war. Charles Wilfrid Graves Taylor. Charles was the son of Charles Paul and Frida Taylor who had lived in the Chantry in Castle Street and then moved down to The Hatch . Click here to read about Charles and Frida. He was born in Battersea in 1909 but the family moved to the Thornbury area about 1915 when Charles Paul Taylor became a solicitor here. We know little about Charles’s military experience but note that was mentioned in the London Gazette of August 19th 1941. Richard Henry James Brace. Richard Brace attended Thornbury Grammar School. His parents Henry Arthur and Lucy Brace appear in the Electoral Records at the address of The White Horse at Buckover near Thornbury. He served in the RAF during World War II as 563893 Sergeant (Pilot) Brace but was sadly one of the very early casualties. On 14 December 1939 a dozen Wellington aircraft on reconnaissance came upon a German convoy in the Shillig Roads north of Wilhelmshaven. Unfavourable weather prevented the bombers making an immediate attack and as they manoeuvred for a more favourable position they came under sustained flak from the convoy. Also alerted were German fighters from a nearby airfield and before the Wellingtons could attack and withdraw were ‘jumped’ by the fighters, for the next 30 minutes a fierce battle raged five Wellingtons were shot down and one, badly shot up by a Me110 crashed on landing at Newmarket killing three of the crew. We understand that Richard’s aircraft was damaged and was last seen near Heligoland struggling towards Germany. His body was never found and he is remembered on the Runnymede Memorial. The Runnymede memorial is dedicated to some 20,456 men and women from air forces of the British Empire who were lost in air and other operations during World War II and thus had no known grave. Eric Eddington. Eric was born in 1918 and his birth was registered in Thornbury. He was the son of William Eddington and his first wife Mabel who lived in Thornbury. In 1921 Eric started at St Mary’s School and his address at that time was Castle Street. Eric left St Mary’s in 1929 to attend Thornbury Grammar School. He joined the RAF apprenticeship scheme after school and served in the RAF in World War II. We would like to learn more about his career there. He married Sylvia Tozer in 1945. His death was registered in Yeovil in 1976. Paul Thomas Richard Mercer – Paul was the son of Thomas and Amy Kathleen Mercer of Alveston. His birth was registered in the Bristol area in 1922. 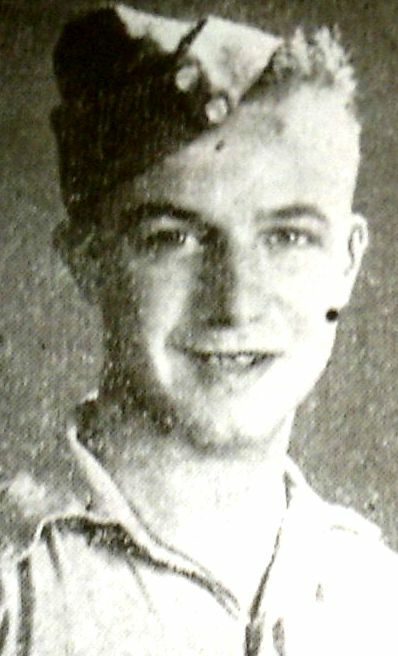 Paul attended the Grammar School where he is listed as a Prefect in 1938 and was awarded his colours for sports in 1939. Like a lot of other boys in the school, he joined the RAF Volunteer Reserve. He went to the USA for training as a pilot. The Runnymede memorial is dedicated to some 20,456 men and women from air forces of the British Empire who were lost in air and other operations during World War II and thus had no known grave. His name also appears on the memorial at St Helen’s Church, Alveston. Vincent Oates. Vincent was the son of Jack and Elsie Oates of what is now Crispin Lane in Thornbury. He was born 18th May 1923. He was a pupil of Thornbury Grammar School. He joined the RAF before the Second World War as an aircraft apprentice and after serving in Canada he volunteered for flying duties. 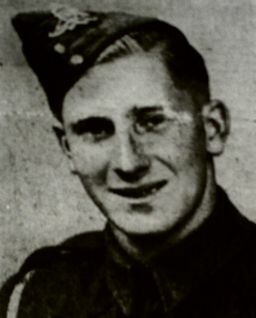 On 19th November 1944 the Gazette reported that Sergeant Vincent Oates was in a military hospital as a result of injuries sustained when a bomber crashed on returning from a raid over Germany. We believe that he remained in the RAF after the war as his name appears in the London Gazette of 1961 when he was promoted to Master Engineer. The Electoral Register of 1964 shows his address was in Eastland Road Thornbury. However the letter “S” appears after his name which suggests that he was still serving in the RAF. Hugh Powell – we believe that Hugh was actually called ‘Hubert Maurice John Powell’, the son of Hubert George Powell (known locally as ‘Fishy Powell’) and his wife Charlotte Newton Powell (nee Pugh) who ran a little grocery and fish shop at Sibland House. Hubert was born in the Bristol area on 22nd August 1918. He was admitted to the Council Upper School in 1927 when he transferred from a school in Ilfracombe. In 1930 he left that school having gained a scholarship for the Grammar School. Interestingly during the time at the Grammar School he is referred to as ‘Hugh Powell’. In 1935 he gained a First School Certificate. He was a member of the School’s Scientific Society giving one lecture on ‘Telescopes’. He also gained third place in the School’s 220 yards race on Sports Day. He left school to go to Saltley College, Birmingham and gained his honours there in 1938. The 1939 register compiled in preparation for the war shows ‘Hubert M. J. Powell’ had become a schoolmaster at Chalford Hill Council School near Stroud. During the War Hubert joined the RAF Volunteer Reserve and he was a Flight Sergeant in 14 Squadron flying Blenheim bombers over the Mediterranean. The Thornburian magazine of 1941 describes ‘Hugh’ as a Sergeant Observer but we have also been told he was a navigator. 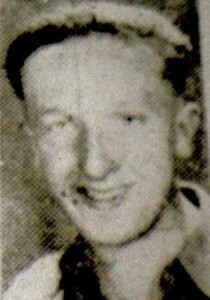 He was reported missing on 13th June 1942. His aircraft was sent out on a Night Intruder Operation which involved two aircraft being sent on a training exercise to a pre-arranged point. Contact with the planes was lost. Under the name of ‘Hugh Powell’ he was still being referred to as ‘Missing’ in a list of old Thornburians serving in the Forces published in the Gazette in December 1944. He is listed under that name on the War Memorials at the Grammar School, St Mary’s Church and Chalford Hill School. He is listed under the name of ‘Hubert Maurice John Powell’ on the Alamein Memorial and the one at Saltley College. Frederick Smith. There is a photograph of Frederick on the left which appeared in the Gazette in 1943. The report said that Fred joined the R.A.F. in 1941 and had at that stage served nearly two years in the Middle East. Fred had been an employee of A E Thompson and Son and been a prominent member of the Thornbury Social Club and Thornbury Cricket Club. Jeffrey Watkins (shown in the photo on the right). The Gazette of January 9th 1943 reported that L.A.C. Jeffrey Watkins R.A.F. 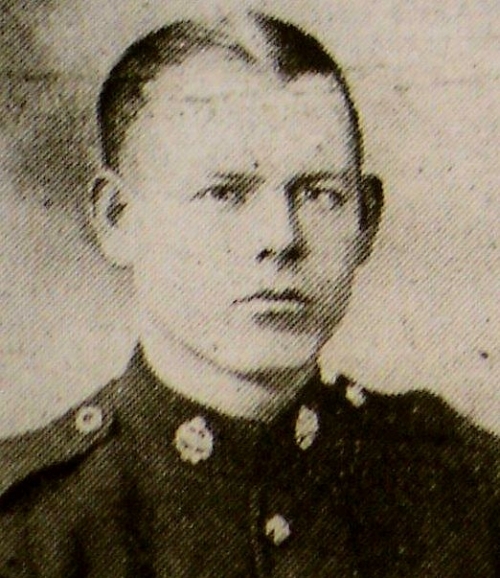 the son of Mr and Mrs P Watkins of Oldbury had been promoted to Sergeant. Jeff has joined the air force as an apprentice at the age of 16 and served for eighteen months in West Africa. He returned to England June 1943 to complete two extended tours as a bomber pilot over Europe. Jeff was not being sent back home on leave though. He was sent to the Halifax Squadron. He was commissioned in May 1944 and by April 1945 had “completed over 70 sorties against the enemy.” We believe that in all he completed 82 flights and he was not shot down in any of them, neither did his crew suffer any casualties. He was involved in a 29 Lancaster bomber raid into the fiord at Tromso in Norway to sink the German battle ship “Tirpitz”. 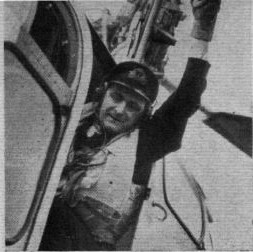 In April 1945 the Gazette reported that Flying Officer Jeff Watkins had been awarded the Distinguished Flying Cross “for gallantry and devotion to duty in many sorties”. He emigrated to the USA after the war and worked on top-secret jet engine development with Frank Whittle. He is much in demand for speaking engagements in the US and here. His most recent talk in Thornbury was in November 2012 to fundraise for the Arts and Community in Thornbury. 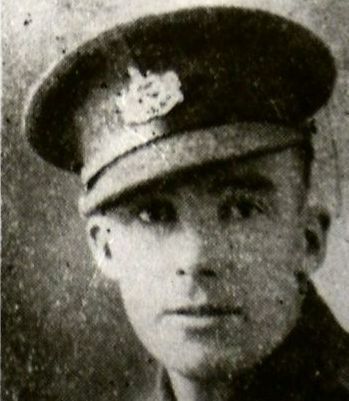 Herbert John Lambert – born in Thornbury in 1910, the son of Thomas Lambert a carter from Crossways and his wife, Jane. Herbert joined the navy as a seaman in 1925 and trained as telegraphist air gunner in the Fleet Air Arm. In 1940 he was stationed at RN Station Condor, Arbroath and moved with his wife and son to live in Carnoustie. He was commissioned in 1946 and in 1951 started flying helicopters. In January 1952 he was highly commended for his gallant effort to take off the captain of the Flying Enterprise which was sinking off the Cornish Coast. In October 1952 he was again at the centre of the action. Following the testing at Britain’s first atomic bomb off the northwest coast of Australia Senior Commissioned Observer Herbert John Lambert DSM was one of the two officers which flew over the scene of the explosion in a Westland-Sikorsky helicopter. We understand that the purpose of the flight was to collect radio-active water. The test was reported in Hansard in October 1952 when the then Prime Minister, Winston Churchill, made the announcement in the House of Commons. His description of the event gives an indication of the degree of danger Herbert Lambert was in. “The weapon was exploded in the morning of 3rd October. Thousands of tons of water and of mud and rock from the sea bottom were thrown many thousands of feet into the air and a high tidal wave was caused. The effects of blast and radio-active contamination extended over a wide area and H.M.S. “Plym” was vaporised except for some red hot fragments which were scattered over one of the islands and started fires in the dry vegetation. George Thomas Legge – he was born in Bristol in 1900. His parents, William George and Matilda Legge moved to Thornbury in 1907 and settled in Gillingstool. In 1922 George married Blanche Rebecca Biddle in the Alverstoke area of Hampshire, but they had three children born whilst they were living at 6 Castle Street. Around 1928 they moved to the Southampton area. George was a stoker. On 8th June 1940 he was a stoker first class serving on the HMS Acasta when she was sunk after a two hour battle with the Scharnhorst and Gneisenau. Norman Francis Taylor – Norman was born in Thornbury on 1st January 1921. He was the son of Harold Francis and Clara Harriett Taylor who lived for a time in Crispin House. Norman was serving as an assistant storekeeper on HMS Manistee when he died on 24th February 1941. The Manistee was escorting a convoy when it was hit by a German torpedo south of Iceland.